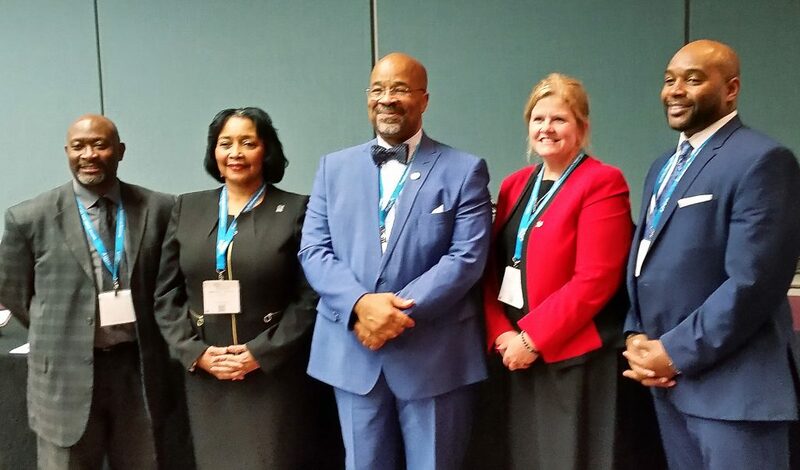 For the fourth consecutive year, NJSBA and the New Jersey State League of Municipalities (NJLM) co-sponsored a discussion on school district-municipal cooperation at Workshop and at the League’s Annual Conference. The sessions took place Oct. 25 and Nov. 14, respectively. This year’s topic, “Working Together for Children’s Health,” focused on collaborative child nutrition programs. Panelists who lent their expertise to the discussion were (l-r) Reginald Dorsey, state outreach coordinator, Advocates for the Children of New Jersey; Martha F. Wilson, president, Camden City Board of Education; Albert Kelly, president, NJLM, and mayor of Bridgeton; Stephanie Sutton-Page, state coordinator, Child and Adult Care Food Program, NJ Department of Agriculture; and Warren DeShields, director of food services, Bridgeton Public Schools. The Bridgeton municipal government and school district currently collaborate on a summer nutrition program for the city’s children. 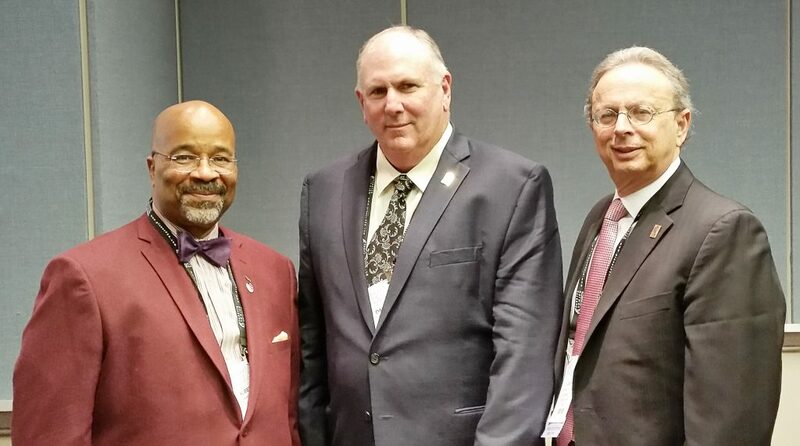 (left to right) Bridgeton Mayor Albert Kelly, NJLM president; Dan Sinclair, NJSBA president; and Dr. Lawrence S. Feinsod, NJSBA executive director, after the panel discussion at Workshop 2017.